Emily Miller was a lead writer for the Diversity and Equity Team on the Next Generation Science Standards, a member of the NGSS writing team, and co-writer of NGSS for All Students, with Dr. Okhee Lee. Emily has taught for 18 years as an ESL and bilingual resource science specialist in Madison, Wisconsin, at a Title I school. Emily has an MS in bilingual studies from the Department of Curriculum and Instruction at the University of Wisconsin–Madison, a BS from the same department with a Spanish minor, and ESL and bilingual teaching certifications. She is pursuing a PhD in Curriculum and Instruction at the University of Wisconsin–Madison. Join us for more PD this summer! 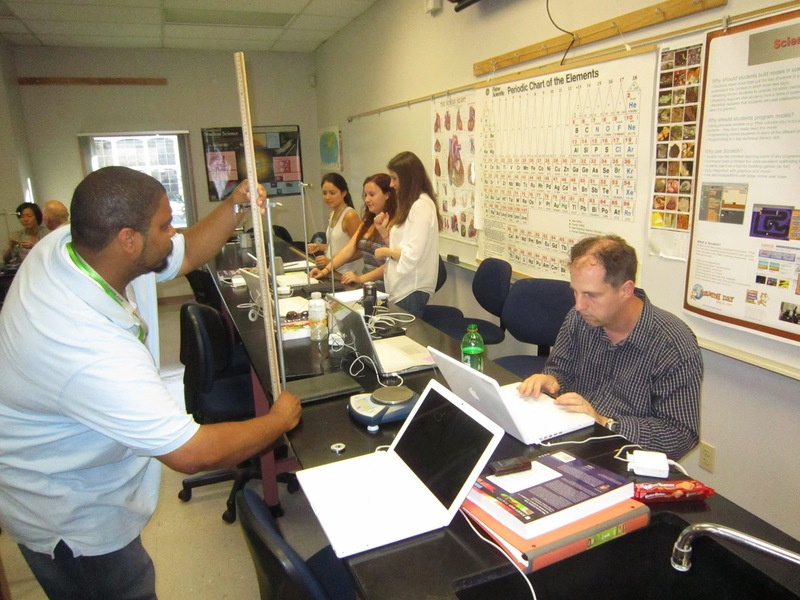 This year the focus will be on NGSS implementation, but we will also have workshops about Computer Supported Collaborative Science (CSCS). Our project to help teachers make technology useful in the science classroom.